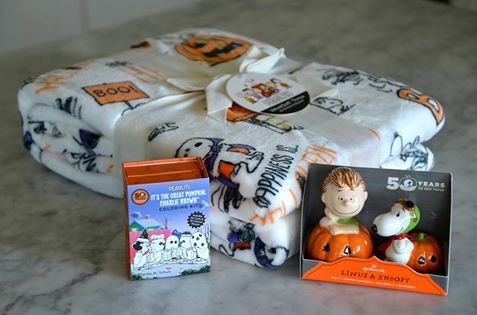 Halloween Fun with Snoopy Giveaway! October means Halloween fun! We actually just got our Halloween decorations up, I love this time of year! In addition to the costumes and the candy, the most beloved Halloween tradition in America has to be the annual airing of It’s the Good Pumpkin, Charlie Brown! And this year marks the 50th Anniversary of that beloved television special. Can you believe that Linus has been waiting for the Great Pumpkin for 50 years!? I will leave this giveaway open until October 17th, 2016 … once closed, I will select one winner who will have 48 hours to contact me to claim their prize! GOOD LUCK!! I've always liked Schroeder, but Snoopy is cool too.